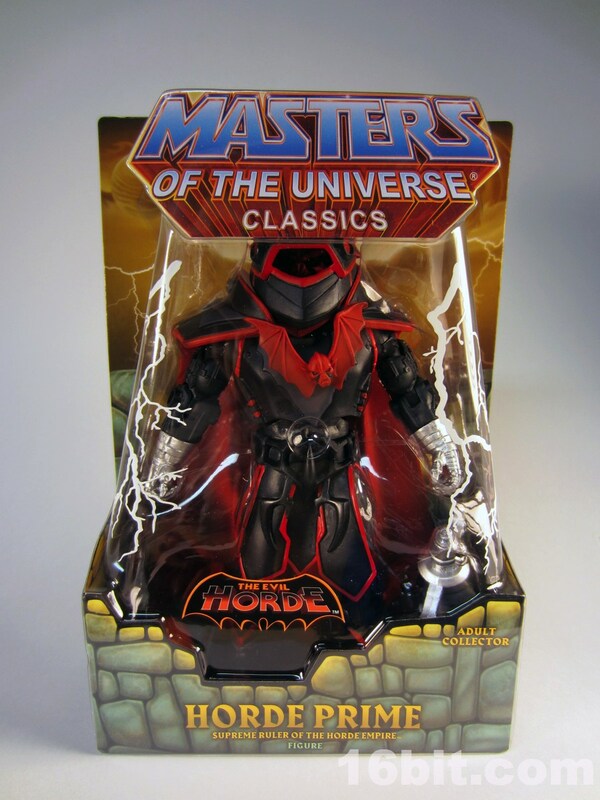 If I told you I wanted a Horde Prime I'd be lying, but my worldview of Masters of the Universe is pretty much geared to the cartoon from the 1980s, concept designs, and the original toy line in that order. 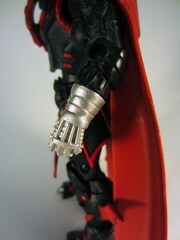 New characters often turn out to be really cool, but I don't come to the table with some sort of history in many cases. Sure, a Hordier-than-Hordak Horde Ruler has been around for a while but we never got a good look at the guy on TV, plus other incarnations seem to vary. 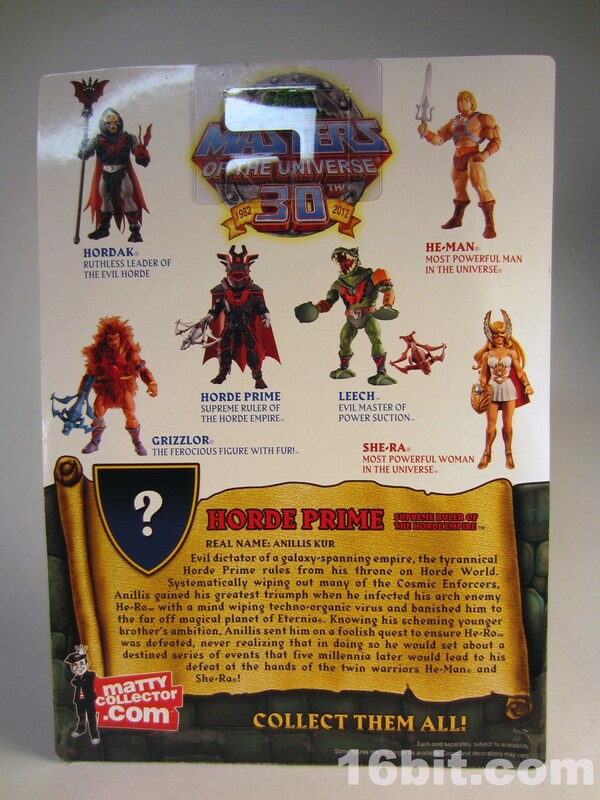 This take on this character is so fresh that the main red head was actually kept secret until it hit my mailbox-- only an unpainted test shot leaked online, so nobody really had a clue what the final Horde Prime looked like under his helmet until just a few days ago. 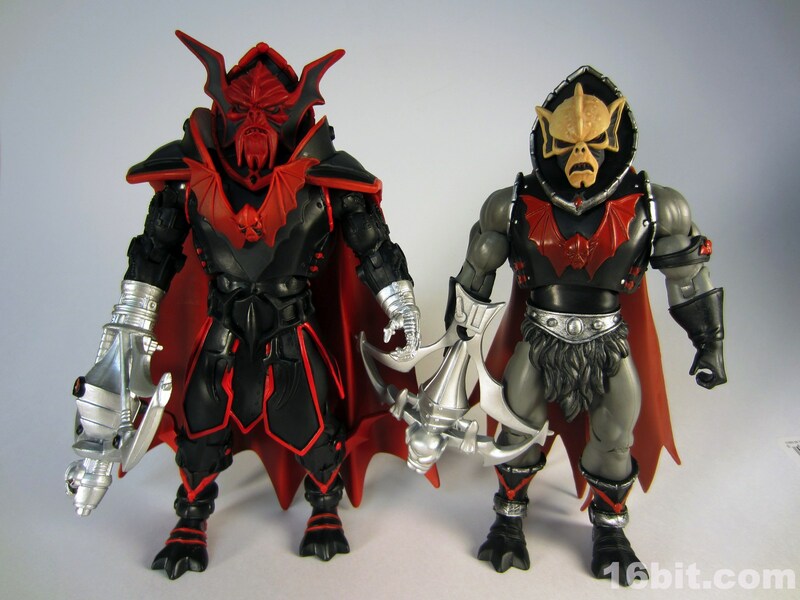 Mattel, you're a crafty bunch and I'd say the figure-- overall-- is more than worthwhile. Horde Prime is pretty much your standard Classics figure, although he is a smidgen taller. 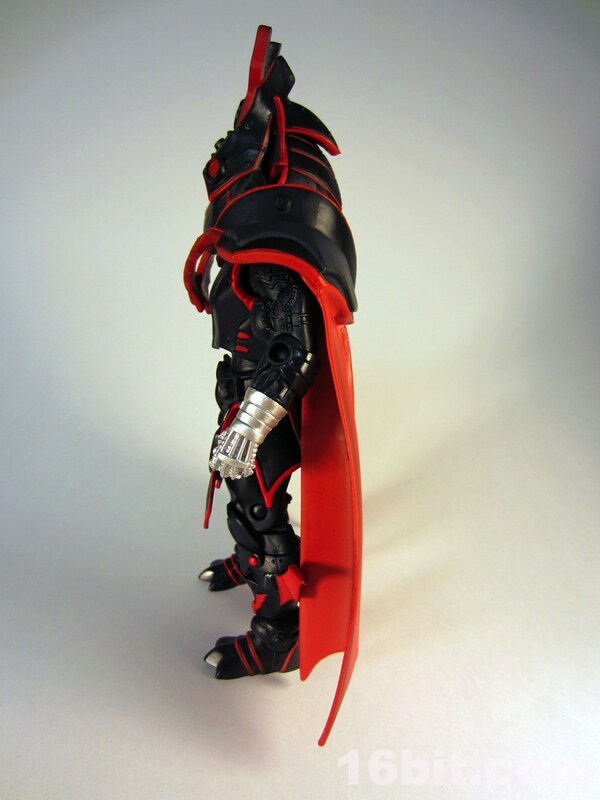 At about 7 1/2-inches high, not counting his helmet, he is one of the larger figures in the line and uses a fair amount of existing parts from the likes of Roboto's arms to parts of legs you've seen on Trap Jaw and Optikk. 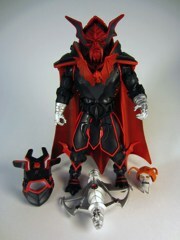 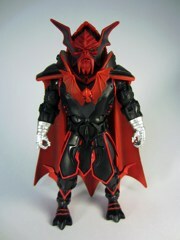 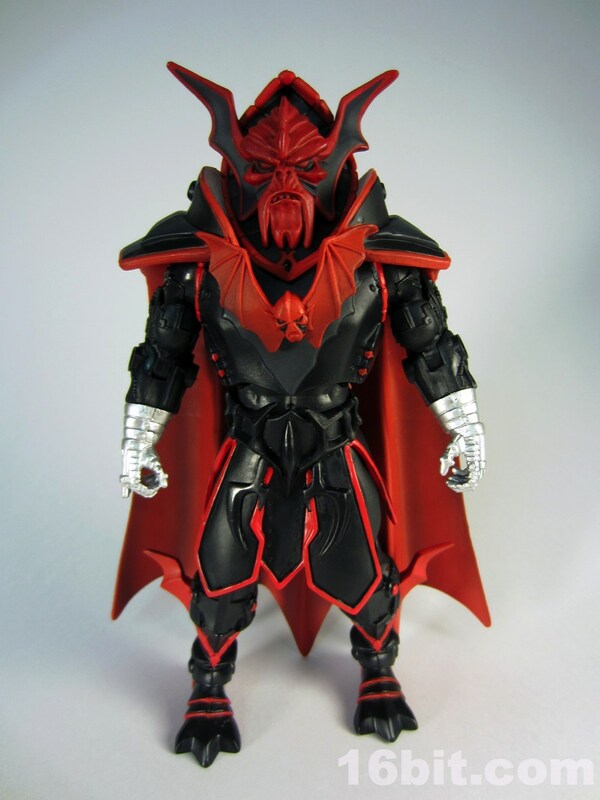 New shins have bat-wings and Horde symbols, while the feet are recycled from Hordak. 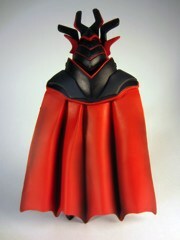 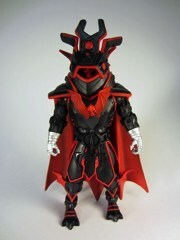 A new cape with H rode symbol looks magnificent, but it hangs on his chest somewhat oddly. The big red Horde Bat symbol floats off the chest because it's part of the cape, and no part of the cape garment can be tabbed into position. 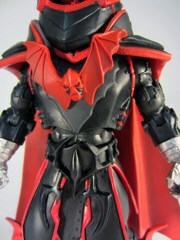 While grooves are present inside the interior of the cape, gravity and the plastic conspire against them holding on to the shoulder armor like it seems Mattel planned. 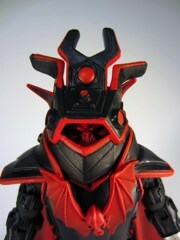 The helmet tabs into place quite nicely, fitting over a spine on the forehead with no real problems. The new head sculpt is pretty slick, although it seems anything new in this line is subject to severe argument. 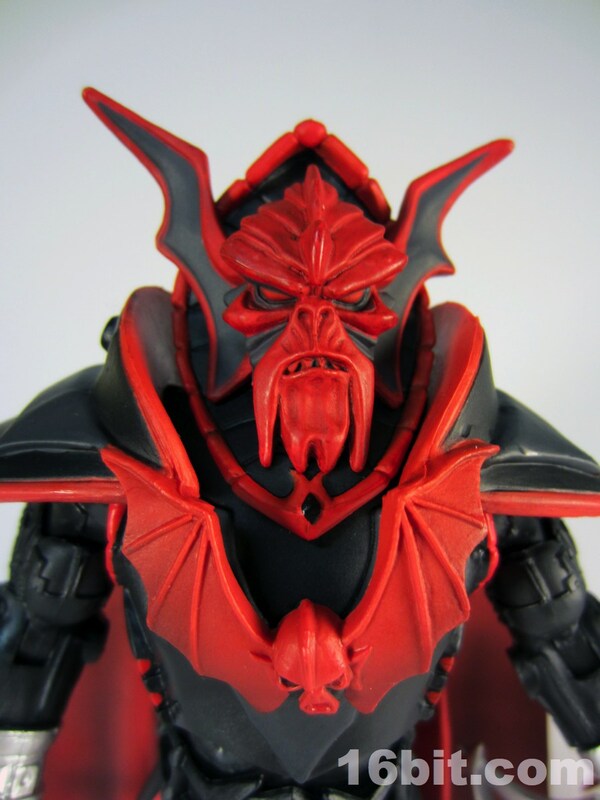 While clearly based on the design for Hordak and the Horde sumbol, Horde Prime's main head has huge bat wings coming out of his ears and, unlike the gags on the She-Ra cartoons, doesn't have two heads at the same time. 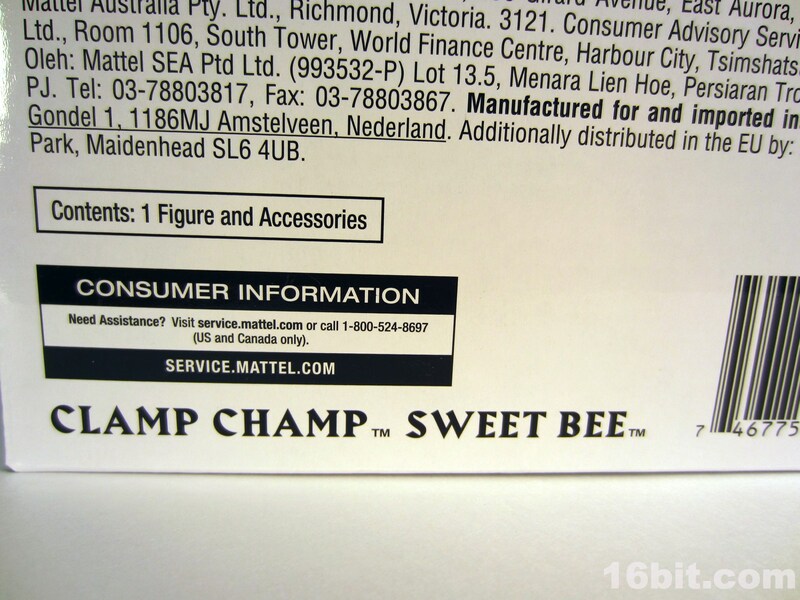 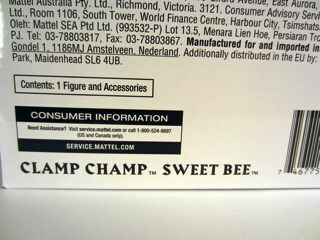 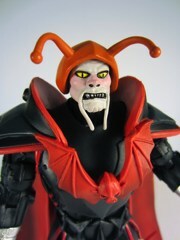 A swappable head was included based on some UK comics, with a beard and little bug-like antenna. 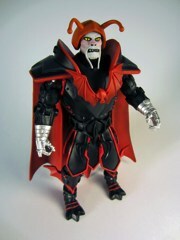 It's a little goofy, to say the least, so I'll be sticking with the default red head. Both are sculpted quite well, and the paint job on the "bug" head is really excellent with black outlines and a lot of just plain bizarre detailing. 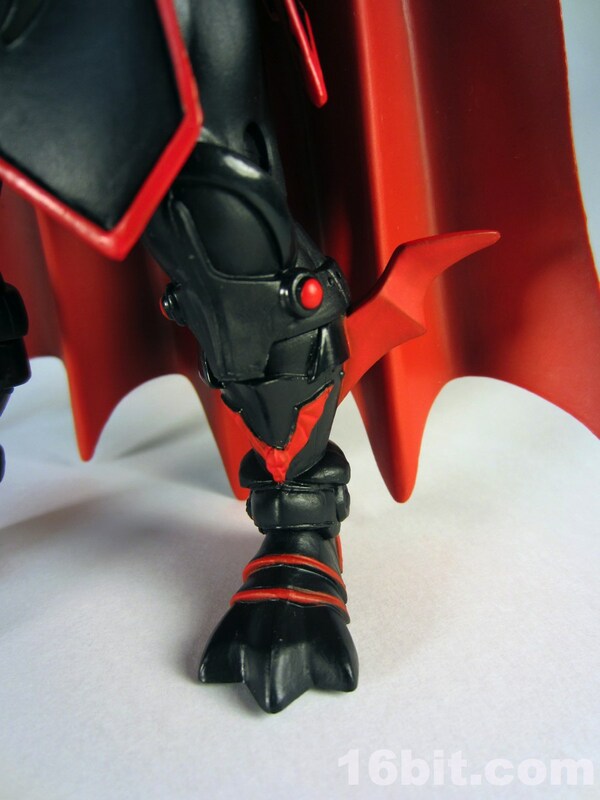 Having said that, it doesn't really fit the body too much so I look at it as a fun extra that, at least on my shelves, won't be seeing a lot of use. 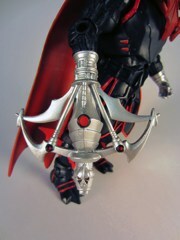 While the prototype figure showed a staff, the final product only includes a crossbow which can plug in to his wrist socket. Just pop out the hand and replace it with the crossbow if you're so inclined. While I would have preferred the staff or a hand-held weapon, the crossbow is nothing to sneeze at. 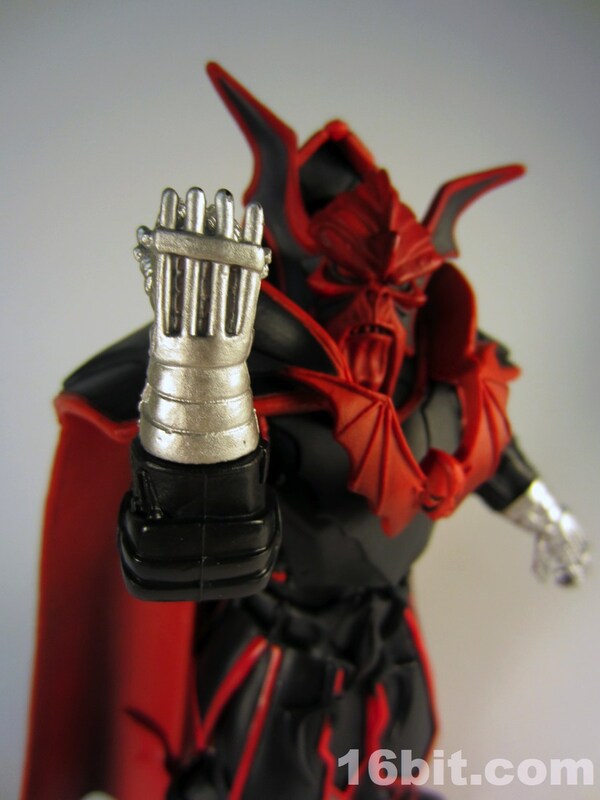 Molded in black plastic, the thing was covered in shiny silver paint and given red and black highlights, adding a little visual weight to the weapon. A Horde symbol sculpted on the tip was a nice touch, and I'm glad they opted to paint in some additional detail rather than just leave it a single color. 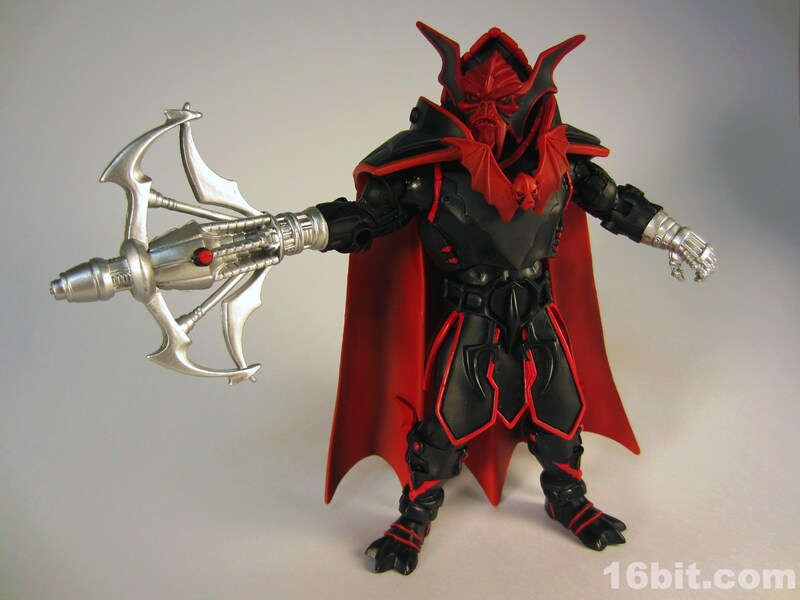 The Horde Prime figure is mostly black with red, a little detail can go a long way and on the crossbow it's a clear improvement. 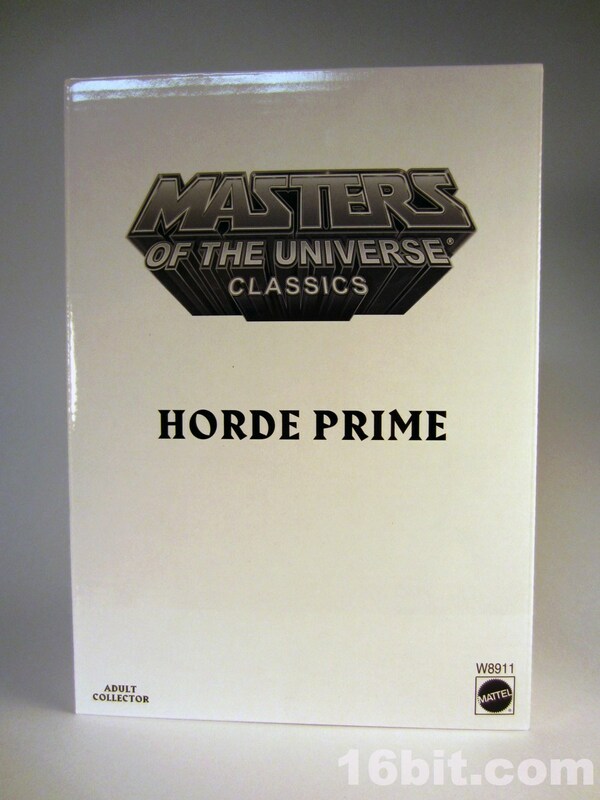 As (for all intents and purposes) a new character, Horde Prime is a synthesis of much of what has come before. 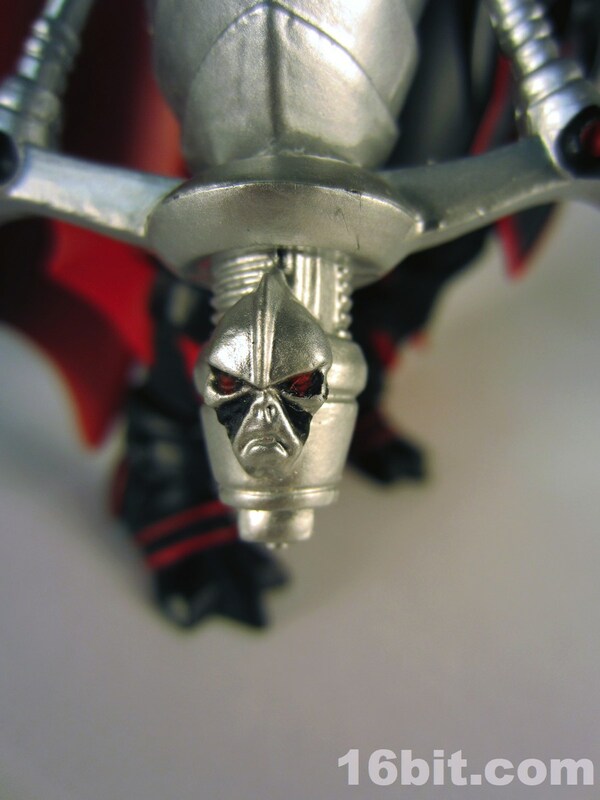 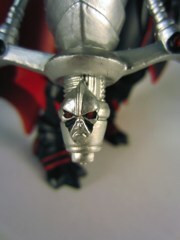 Collectors like black, collectors like Hordak, and collectors like obscure, weird alternate heads. The execution was mostly spectacular save for how the cape hangs off the shoulders on my sample, giving this Supreme Galactic Ruler a somewhat disheveled look. If the price is right, get one-- it's a big heavy figure and there's a lot of plastic in here for the money. 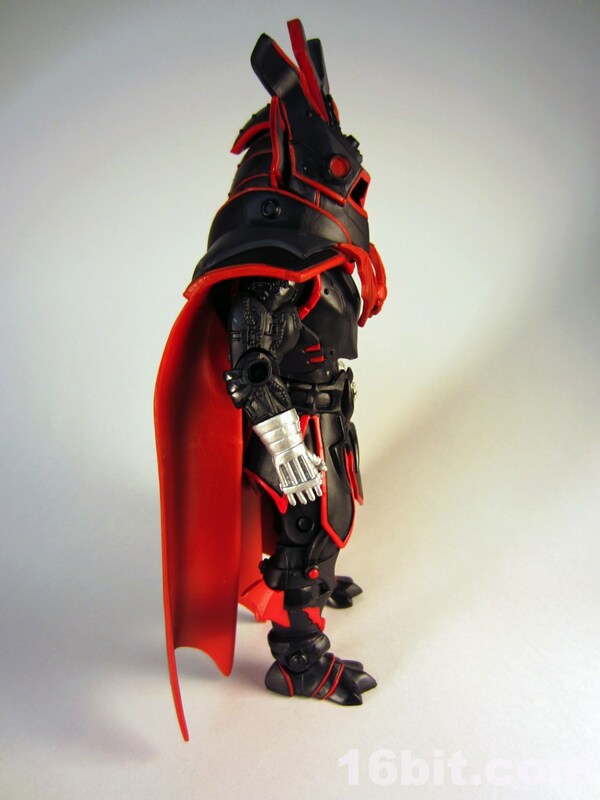 I'm delighted the ankles can hold up under all the weight, but I just wish the cape looked a little better over the chest.